Welcome to my Tours Page! Hi everyone, you know me as 'Dr Charles' on Youtube! I present new information exposing the reality of archaeology! I have been described recently (2019) by one generous commenter as: the 'Sherlock Holmes of Ancient History!' My Channel, 'Charles Kos', is now pushing FIFTY THOUSAND SUBSCRIBERS and TWELVE MILLION VIEWINGS. I am basically a full-time Youtuber! However Once Upon a Time... before all that happened, I ran this historical crime-tour business, walking the streets of Melbourne, Australia's Central Business District! I have many American 'fans' (Some in Australia! ), who wish to add a crime tour to their itinerary. Why not book with the MOST ENTERTAINING, and possibly most well-known (internationally) historian in Melbourne? SO, if would like me to give you a Crime Tour, should you visit Australia (or already live here! ), I will be happy to take you or your group on a tour for a nominal fee. You can pay below via PAYPAL to secure a booking. (As a public figure I obviously cultivate a reputation for honesty and fair play!) I am very flexible on times also! The tour duration is 1.5 hours. I am also up for negotiation on price. We can also have lunch, to chat, pick my brain if you like! Please drop me an email enquiry! If you change your mind before the day of the tour, I will give you a full refund! 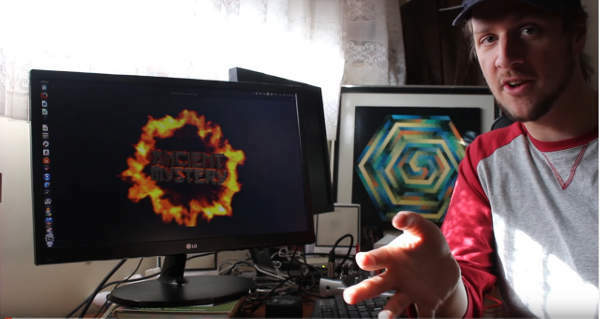 The old studio layout of my `Ancient Mystery' show, back when I had about 12k Subscribers! Australian history is almost always picturesque; indeed, it is so curious and strange, that it is itself the chiefest novelty the country has to offer, and so it pushes the other novelties into second and third place. It does not read like history, but like the most beautiful of lies. And all of a fresh new sort, no mouldy old stale ones. It is full of surprises, and adventures, and incongruities, and contradictions, and incredibilities; but they are all true, they all happened. Confirmed PRESS Reviews, about the 1.5-Hour CRIME TOUR, currently offered by Dr Charles! This is a great way to learn about some of Melbourne's quirky history, while also exploring some of its wonderful architecture. It will be interesting both for visitors to Melbourne and locals. — Fiona Anderson, Weekend Notes. Experience the spooky side of Melbourne. We went on the TWISTED TALES WALKING TOUR today. Really excellent, and learned about those hidden corners and secrets of Melbourne. The Tour is conducted by very knowledgeable guide Charles... HIGHLY RECOMMENDED! "That you, I thoroughly enjoyed that!" "Thank you for being not just a great guide, but a great host as well!" Many Tourist Highlights on this well-acclaimed and established tour, including Princess Theatre, Lygon St, Royal Society, Carlton Gardens, the infamous district of 'Little Lon', with its pickpockets, and also QV shopping centre. Synopsis: Melbourne has had its fair share of 'incidents' in the past. Learn an eclectic assortment of them as we walk the streets of the newest part of the old city grid! We have had stranglers of various sorts, a shocking armed robbery with a twist afterwards, and various strange occurrences which may leave you scratching your head! Are you interested in STRANGE stories, WEIRD happenings and the ironic details of Melbourne's strange past? We start with 'Australia's Best' ghost story, and then move onto crime and other stories. Walk the streets where these events occurred! EXPLORE the wonders of Melbourne, it's marvellous past, fabulous architecture, and present. This tour is a combination of seeing the sights and sounds of what makes up the best of Melbourne, as well as containing a few lurid historical tales to get the blood racing. Unsavoury historical stories are told throughout the tour. This is an excellent way to spend part of a day in Melbourne, seeing the finest the city has to offer. PRICE FOR A TOUR OF UP TO FIVE PEOPLE (Small Group) AUD $120. Please email me for a negotiated Price! I am an ex history student with a PhD in Robin Hood. 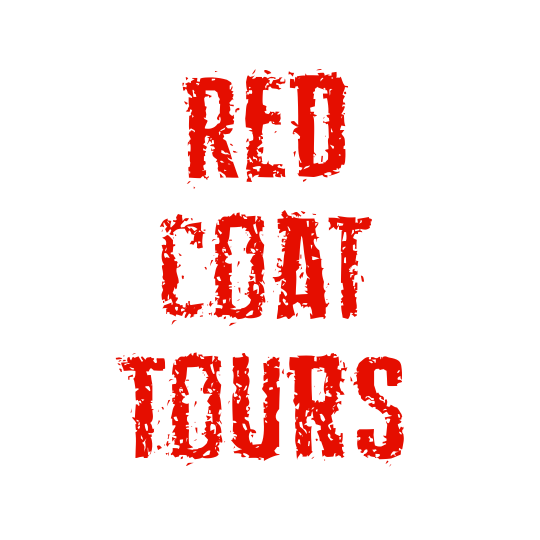 Born and bred in Melbourne, I founded Red Coat Tours, around the idea of providing a mixture of entertainment as well as a vivid feel for the location and its history, with some fun anecdotes, possibly unmatched or at least unmentioned by other tours. All tours are operated by M3 Tours Pty. Limited, ABN 70610882203. Tours will take place rain, hail or shine. You comprehend the risks associated, without limitation, such as bad weather, accidents as arising out of automobiles, including death, pedestrians and the like, and accept responsibility. The operator disclaims any liability for loss or damage to any customer or third party, whether to person or property, arising out of any tour carried out. M3 Tours Pty. Limited, reserves the right to revoke, without refund, service to any customer suspected of carrying out any fraudulent transaction, or malicious abuse of the online booking system. REFUND POLICY: Cancelations are non-refundable unless cancelled more than 4 hours prior to the starting time of the corresponding booked event. Departures are five to ten minutes after the assembly times, but it is the customer's responsibility to be at the meeting place ahead of time. No responsibility will be accepted for customers who miss out due to being late or waiting at the wrong location. PLEASE NO WEBSITE-DESIGN/SEO HAWKERS! YOU ARE WASTING YOUR TIME! I LOVE MY SITE AND WILL IGNORE YOUR EMAIL! THANKS!